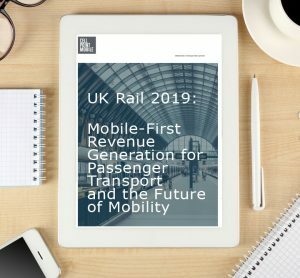 CellPoint Mobile serves the global passenger rail sector with flexible, configurable solutions that help owning groups and operators collect revenues from the mobile channel and profitably manage interactions and transactions from both the selling side and the payment side. As the rail sector invests in digital signaling and other intelligent mobility solutions, CellPoint Mobile is helping operators leverage passenger mobile devices for solving pre, during and post journey challenges – such as reducing the time it takes for passengers to get through a station – while also generating ancillary revenue through the mobile channel. Dedicated to a client-first, mobile-first culture since 2007, CellPoint Mobile delivers cost-effective solutions that can get to market quickly and scale for growth: booking, payments, alternative payment methods, ancillary sales, loyalty transactions, communications, stored payment capability, real-time reporting, reconciliation, connections to payment service providers (PSPs) and acquirers, and more. CellPoint Mobile brings deeps rail expertise with best practices from other travel and transportation sectors, including airlines, hotels, hospitality venues, bus, ferry and cruise operators. Serving companies on five continents, CellPoint Mobile has locations in Miami, London, Copenhagen, Dubai, Pune and Singapore.